The Toyota's flying car soon be airs? No doubt, Toyota is currently regarded as the most popular car manufacturers. The various products were born and has always received great applause from the consumers. 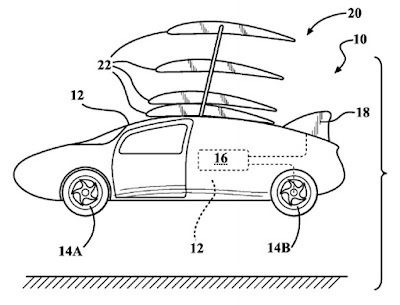 And, pretty soon Toyota will re-birth of the most phenomenal product, ie the flying car. Yes, one of the Japanese famous automotive companies tried to extend their business coverage, one of them by presenting the flying cars. As the flying car name implies, these vehicles are expected to be the future transportation mode that can be run in the streets and fly for through traffic jams. Toyota hope, they could be brought the flying car in real life in the near future. This was proven by the success of Toyota bagging the patents that features a sketch of their flying car candidate. 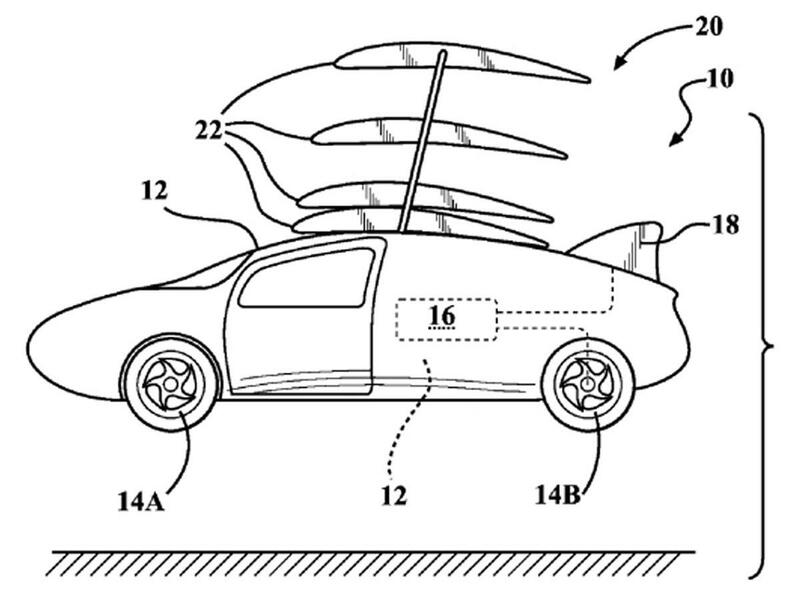 As quoted of the Motoring, Toyota's flying cars patents actually been filed in December 2014, but recent been published by the US Patent and Trademark Office titled 'Shape Morphing Fuselage For an Aerocar'. When viewed from a rough idea, at first glance the Toyota's flying car will come equipped with a tiny propellers located on the side. This flying car is also very flexible, can be used in the ground or air. Therefore, the wings can be folded and hidden in its body panels. If it will fly, the wings will be widened. Conversely, if it is on the ground, the wings will enter into and hidden.